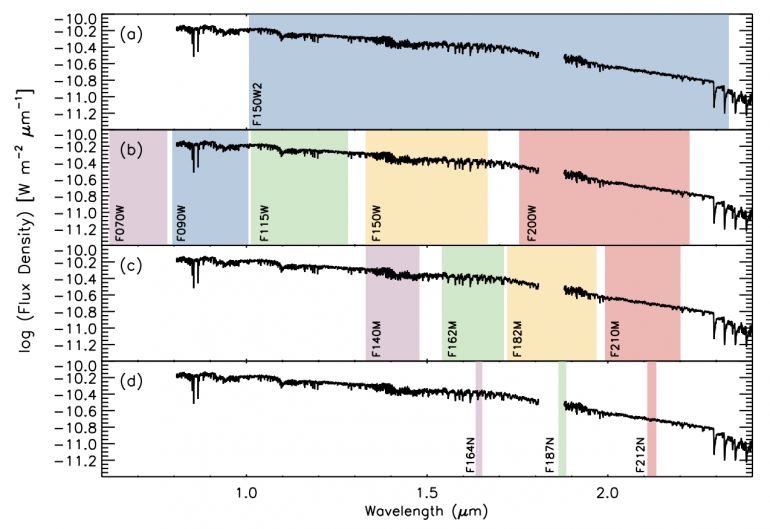 E. M. Levesque > News > New paper: near-IR photometry of red supergiants with JWST! There’s another new paper from the UW Massive Stars research group! This paper is the first in a series presenting my research on the IR spectra of RSGs and developing techniques for observing them and determining their physical properties with JWST. This first installment is focused on simulating future near-IR photometry of RSGs with NIRSpec on JWST, and quantifies photometry-based methods for determining the stars’ effective temperatures, luminosities, and surface gravities. In the paper I also highlight the best filter combinations to use when optimizing future precious hours of JWST, considering in particular how useful these observations will be for building up useful observational archives of RSGs that may later explode as supernovae. The paper was recently accepted to ApJ, and the in-press version of the paper is available on arXiv. UW Massive Stars group at AAS 233!